Advanced Armament Company (AAC) has announced the release of their Ranger 3 suppressor for 2014. This 5.56mm suppressor weighs in at 14.5 oz, is 6.25” long, is 1.5” in diameter, and is finished in Cerakote. The Ranger 3 does not require a flash suppressor like the new Brakeout 2.0, instead this suppressor can be attached by a wrench directly to the barrel with 1/2-28 threads. The Ranger 3 retails for $600. 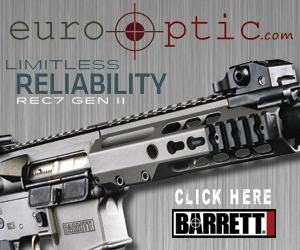 For more information visit, advanced-armament.com.